Easter ham or a leg of lamb are the things we think of when we start planning our Easter dinners. But we don’t always have to follow our traditions. With that in mind, we put together a short list of fun recipes to add to your holiday dinner. Spring Flowers How adorable are these tomato tulips? Surviving a Teacher’s Salary came up with these. And, because she’s a teacher, she’s a master at making things easy AND cute! The most work you have to do is cut the cherry tomatoes to make them look like tulips. 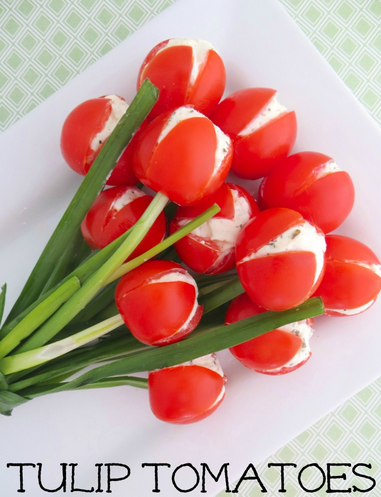 From there, you just add the cream cheese filling and stems (chives) and you have an cute little appetizer worthy of an Easter spread. Breaking Bread Family dinners almost always include bread. 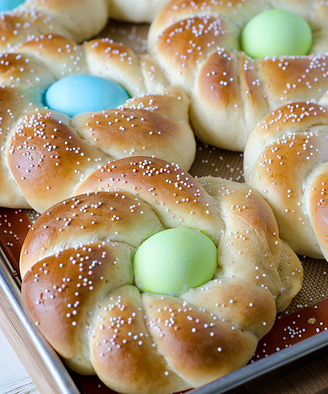 In Italy, on Easter, they serve a sweet bread to showcase one of favorite Easter symbols: eggs. Seeded at the Table put together a step-by-step on how to make the bread to add to the beauty of your Easter table as well as your traditions. Carrot Cravings We love to eat carrots at Easter because of the association with the Easter bunny. While roasting or glazing carrots are the traditional methods for cooking carrots for Easter, there are other, more fun ways to serve it. 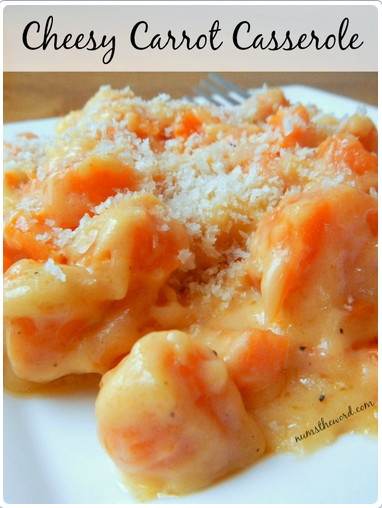 Num’s the Word put together a recipe for carrots that include cheese! Carrots are plenty tasty on their own, but coupled with cheese, your Easter ham may go untouched! Easter Pie Italians have a way with holiday food and Easter is no exception! 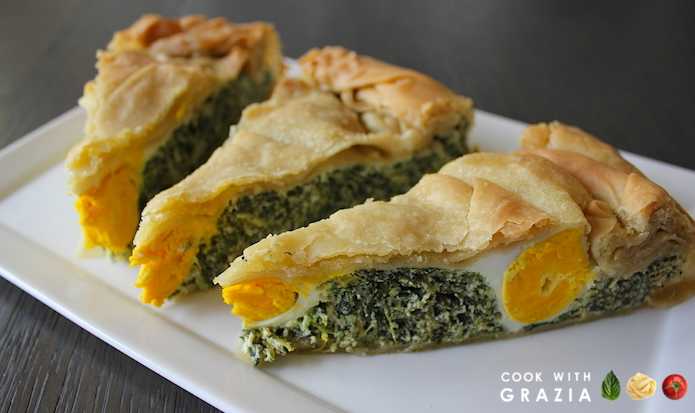 On the Italian menu, you might find Torta Pasqualina (Easter pie). It is NOT a sweet pie, but it’s delicious! It has vegetables, cheese and eggs to cover your basic food groups in one dish! Cooking with Grazia shared her recipe on her blog. It’s a very involved process, but she includes pictures for each step that you can follow. Dessert At Lakeside, we would NEVER forget dessert — especially not on a holiday! 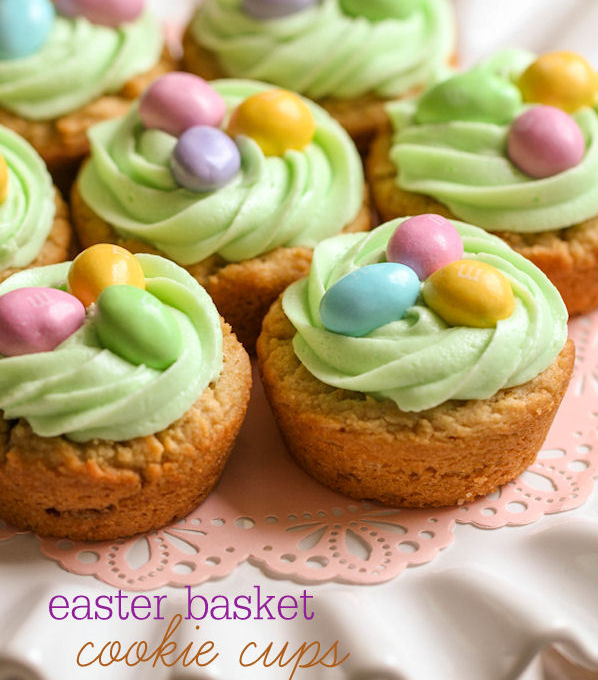 Though there are dozens of unique Easter sweets recipes on the internet to fill the dessert slot, but we picked these Easter Basket Cookie Cups because, well, they’re cute! Lil’ Luna mixed up this recipe — it’s not much more difficult than making cookies, they just require a little bit more designing. The Lakeside Collection has ideas and inspiration for all of your holiday entertaining! 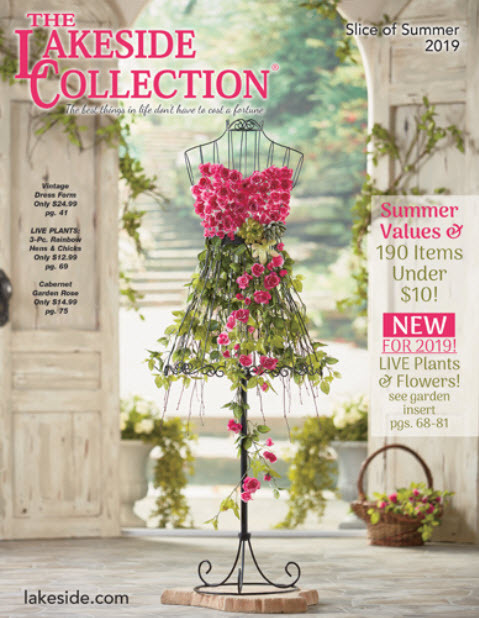 From Easter decor to ideas for pulling off an awesome Memorial Day cookout, shop Lakeside for great ideas and quality products. I would love to see all recipes. Hi, Char and Gayle! Thanks for your comments. You can find the recipes in the links. If you click your mouse on the name of the blog (like “Surviving a Teacher’s Salary” for the tomato tulips), you’ll be directed to the recipe.